So there you have it. If you are like me and wanted to get both to 5-stars (after paying the $19.99 to boost them already) to ensure you are closer to the end goal (7-stars) and to have them ready for platoons in Territory Battles – Hoth, you’re looking at the above scenario being your (likely) reality. 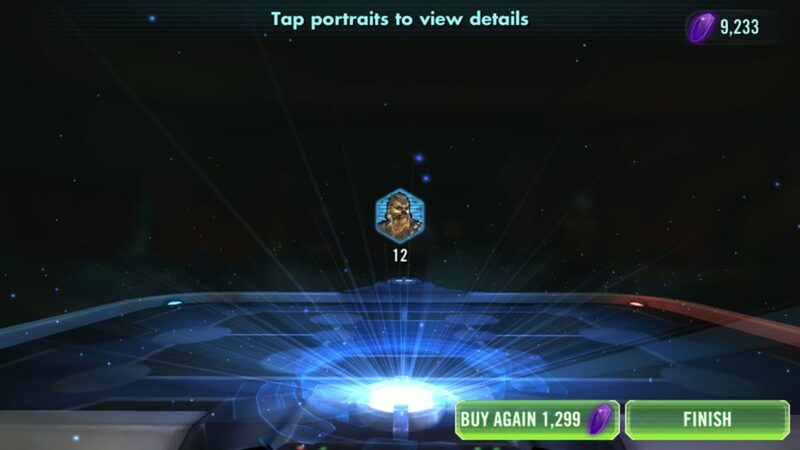 Final Thoughts: If you’re a spender in Star Wars Galaxy of Heroes and feel that this combination is the next big thing, do what you need to do to get them where you want. However, I would not recommend any FTP (Free To Play) SWGoH player save up or use their crystals on any of these packs given the data we continually bring in. 9 Comments on "SWGoH: Should I Buy The Smuggler’s Return Pack?" That was very helpful to know. Something to think about- thanks! Is there any documented proof of anyone hitting 330? So it really does exist? Good to know! Veteran Smuggler Han Solo is a very nice character for Territory Battles, but overall, since he is neither Resistance or a Rebel, he really does not have synergy with CLS or anyone of note of than Veteran Smuggler Chewbacca. Carlos, I would think the Phoenix Squadron would be a slightly better pack to invest into. The Phoenix characters are needed to open Thrawn, a Top 10 toon in the game, and Sabine and Ezra are top notch as well.